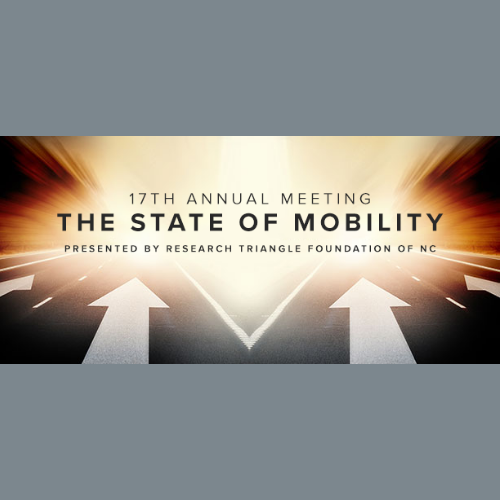 Join more than 300 leaders and hear from the voice of the regional business community on transportation trends and progress in the Triangle — and the importance of determination and courage in the face of obstacles to achieve success — at the annual RTA State of Mobility event. Michael Fox, chair of the North Carolina Board of Transportation, will keynote our 2019 event. In addition, senior executives from IBM and MetLife will provide perspectives on current and needed travel options as the region grows. Attendees will also receive an update to the Triangle Mobility Report at the event. The RTA is excited to honor the accomplishments – and ongoing dedication – of the 2018 National Women’s Soccer League (NWSL) Champion NC Courage. The Courage has inspired our regional business organization and our entire region with their “no finish line” mantra and commitment to excellence. RTA members have one or more tickets included with membership. Additional tickets are $50 for RTA members and partners. Tickets are $85 for non-RTA members.